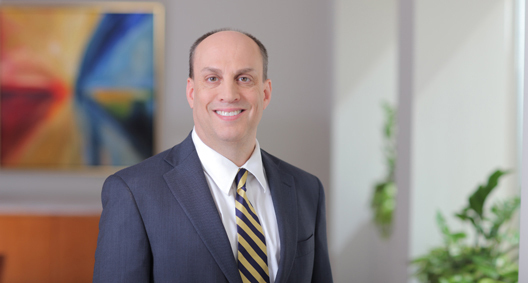 Jim Loeb represents clients in high-stakes family law cases, successfully defending the interests of his clients in "heritage" assets, including family businesses, inheritances and trusts. He handles sophisticated matters with a deep understanding of the intricacies and sensitivities of the issues at hand, guiding clients through sensitive and highly contentious situations both in and out of the courtroom, using alternative means of dispute resolution to amicably resolve situations where possible. As a trusted advisor, Jim continues to represent his clients' interests once those situations are resolved, drawing on the resources within the firm to serve all of his clients' needs and capitalizing on relationships with other lawyers and professionals that have been built throughout his career. He is often called upon by other lawyers to co-counsel complex cases with them. Jim also handles complex litigation matters, including disputes over trusts, national products liability matters and business matters. He also sits on the advisory board of a privately held company. Jim is listed in The Best Lawyers in America© and was named a Best Lawyers 2010 Cleveland "Lawyer of the Year" in Family Law – a distinction given to one outstanding lawyer in each metropolitan region. In addition, U.S. News – Best Lawyers 2014 "Best Law Firms" ranked BakerHostetler a regional Tier 1 firm in Family Law in Cleveland and Colorado, which is the highest ranking available and is given only to those firms that have earned the highest praise by clients and other lawyers in the marketplace based on feedback to "Best Law Firms." In 2010, Jim was named one of Northern Ohio's "Leading Lawyers" in Family Law by Inside Business magazine. Further, he holds an AV Preeminent rating from Martindale-Hubbell, the authoritative resource for information on the worldwide legal profession – a testament to the fact that he is ranked at the highest level of professional excellence. Jim is a founding trustee of the Center for Principled Family Advocacy, an organization that helps resolve family disputes outside of trial and brings a more compassionate perspective to divorce and custody matters. It provides alternative methods of resolution to sensitive and challenging issues, providing individuals with information to assist them in moving through these situations as effortlessly as possible while striving to minimize the negative repercussions. Jim has worked on high-profile family law and civil litigation matters across the United States, including in California, Connecticut, Florida, Georgia, Indiana, Louisiana, Nevada, New Jersey, North Carolina, Ohio, South Carolina, Texas, Vermont and Washington, D.C.
Jim handles some of the largest divorce cases in Ohio and across the country, representing officers of Fortune 500 and privately held companies; professional athletes; physicians, lawyers and other prominent professionals; business owners; individuals with significant family wealth; and other high-profile individuals. With significant understanding and skills in matters involving business valuation, Jim handles notable appeals in areas of complex business valuation, pensions and alimony. He works with the top credentialed and most respected business appraisers in the nation. Jim managed a national product liability defense in multiple states, which also involved securing a $26 million payout against an insurance company. Jim represents clients in disputes involving complex financial structures and a range of businesses, such as real estate, venture capital stock options and forms of deferred compensation, and professional practices. He serves as a mediator and facilitator during contentious situations and negotiates premarital, marital and other related agreements. Jim also handles custody and paternity matters. Jim manages the myriad complex tax and estate issues that arise when dividing large estates and when determining the division of assets and how benefits will be passed on to children and future generations. Jim's approach to the drafting of prenuptial agreements based upon actual courtroom experience in litigating the defense of such agreements. In the Ohio Supreme Court, Jim was responsible for changing the law on the division of public pensions in divorce matters, which were previously not divisible. In an Ohio Court of Appeals, Jim successfully argued that the equalization of income is not the law in Ohio and successfully reversed the alimony order against the CEO of a Fortune 500 company. In another Ohio Court of Appeals, Jim successfully reversed a lifetime alimony award against the owner of a privately held company. Jim has also handled successful appeals in the areas of business valuation and property division. He also defends trustees of estates against claims of beneficiaries. He has also handled business "break ups" among partners. Jim has served as a speaker for various continuing legal education programs concerning complex family law issues for such organizations as Cleveland State University, the Cleveland Metropolitan Bar Association, the Akron Bar Association and a number of private organizations sponsoring such seminars. Best Lawyers® 2010 "Lawyer of the Year"